Revenues for the fourth quarter of 2007 were $292.1 million, or 2.4% lower than the $299.2 million in revenues for the fourth quarter of 2006. Gross profit for the period was $32.1 million, up 18.6% from $27.1 million a year ago. The Company reported operating income of $4.5 million for the quarter compared to an operating loss of $512 thousand for the fourth quarter of 2006. The Company reported net income of $2.7 million, reversing a net loss of $562 thousand for the fourth quarter of 2006. Earnings were $0.09 per diluted share for the fourth quarter of 2007 versus a loss of $0.02 per diluted share for the fourth quarter of 2006. For the fiscal year ended December 29, 2007, Monaco Coach reported revenues of $1.3 billion, level with fiscal year 2006 revenues. Gross profit for the year was $140.9 million, up 13.1% compared to $124.5 million for 2006. Operating income for the year was $23.4 million, compared to $3.8 million for 2006. Net income for 2007 was $12.3 million, compared to $1.0 million earned in 2006. Earnings per share for the fiscal year were $0.41 per diluted share compared to $0.03 per diluted share for 2006. Kay Toolson, Chairman and Chief Executive Officer of Monaco Coach Corporation, stated, "We are very pleased with our 2007 results. The steps we have taken over the last 18 months to make the Company more efficient have significantly increased our profitability. We are committed to maintaining production levels that will produce optimal inventory levels for our dealer partners and the Company." "Our Motorized RV Segment continues its strong momentum both in the marketplace and profitability. Our diesel Class A market share improved by over 10% through November, and our gasoline market share is also beginning to improve. We feel the Fed's recent interest rate cuts should help the RV market in the second half of 2008. 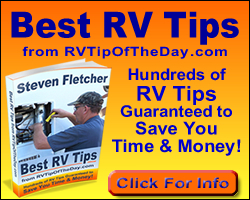 We believe that while some RV buyers may delay their purchasing decisions when times are uncertain, they rarely leave the RV lifestyle and can be expected to return to purchase a new RV when their confidence is restored," said Toolson. "The changes we made throughout our manufacturing processes, including increasing efficiencies at our sub-assembly plants, and reconfiguring and consolidating production lines, have led to better gross margins," said John Nepute, President of Monaco Coach Corporation. "Our industry-leading dealer initiative, Franchise for the Future, has aided us in increasing market share in a down market. The Company will continue to implement our proven strategy of matching our production level with wholesale and retail demand to manage the need for incentives to move products to our dealer partners." Fourth quarter 2007 selling, general, and administrative expenses of $27.6 million were similar to those in the fourth quarter of 2006. At year-end the Company reported finished goods inventory of $33.2 million versus $26.1 million at the end of the third quarter of 2007, a cash balance of $6.3 million and a zero balance on its line of credit. Following the Board of Directors' authorization in December to repurchase up to $30.0 million of its common stock, the Company, subsequent to year-end, purchased 313 thousand shares in the open market for approximately $2.8 million. The Motorized RV Segment reported net sales of $244.3 million for the fourth quarter of 2007, an increase of 1.4% compared to $240.9 million for the fourth quarter of 2006. Total units shipped for the quarter were 1,408, an increase of 1.1% compared to the same period in 2006. Gross profit was $28.5 million, or 11.7% of net sales, for the fourth quarter of 2007, compared to $19.7 million, or 8.2% of net sales, for the fourth quarter of 2006. This resulted in a significant improvement in the segment's operating income from a loss of $31 thousand in the fourth quarter of 2006 to operating income of $8.3 million in the fourth quarter of 2007. "The increase in gross profit and profitability was the result of better absorption of indirect costs and material savings," Nepute noted. "Internal retail reporting, however, has indicated retail sales slowed in January 2008. Although this has tempered our outlook for this segment in the near term, we remain encouraged by our dealers' positive acceptance of our models shown at the November 2007 Louisville RV Show, and anticipate that our motorized RV market share will continue to increase in 2008." Net sales for the Motorized RV Segment for 2007 were $998.4 million, a 6.0% increase over net sales of $941.7 million for 2006. Gross profit for 2007 was $110.6 million, or 11.1% of net sales, compared to $72.5 million, or 7.7% of net sales, for 2006. Operating income for 2007 was $24.7 million, compared to an operating loss of $6.2 million for 2006. There were 5,856 units sold in 2007, compared to 5,756 in 2006. The Towable RV Segment reported net sales of $46.7 million for the fourth quarter of 2007, a 7.0% decrease compared to $50.3 million for the fourth quarter of 2006. Gross profit for the segment was $3.0 million, or 6.4% of net sales, compared to a gross profit of $2.2 million, or 4.4% of net sales, for the fourth quarter of 2006. Operating loss for the fourth quarter of 2007 was $2.5 million, compared to an operating loss of $2.9 million for the fourth quarter of 2006. Fourth quarter 2007 towable units sold were 2,837, up 6.1% compared to 2,673 for the fourth quarter of 2006 and included 773 specialty trailers sold in the fourth quarter of 2007 and 613 in the fourth quarter of 2006. "The Towable RV Segment's improvement in gross margin for the fourth quarter of 2007 was the result of material and other direct cost savings," said Nepute. "Increased selling, general, and administrative expenses relating to higher payroll costs and marketing expenses in the segment offset these savings. Depressed operating results in the fourth quarter is a typical seasonal pattern for the segment; however, the towable market remains extremely competitive." Net sales for the Towable RV Segment for 2007 were $261.4 million, compared to net sales of $324.3 million for 2006, which included $26.8 million of FEMA emergency living units. Gross profit for 2007 was $22.7 million, or 8.7% of net sales, compared to $31.5 million, or 9.7% of net sales, for 2006. The Company reported an operating loss of $904 thousand in 2007 versus operating income of $1.4 million for 2006. There were 16,276 units sold in 2007, which included 4,166 specialty trailers, compared to 19,307 units in 2006, which included 4,304 specialty trailers and 2,019 FEMA units. Net sales for the Motorhome Resorts Segment for the fourth quarter of 2007 were $1.2 million, compared to $8.0 million for the fourth quarter of 2006. Gross profit for the Motorhome Resorts Segment was $631 thousand for the fourth quarter of 2007, compared to $5.1 million for the fourth quarter of 2006. The Company reported a $1.2 million operating loss for the fourth quarter of 2007, compared to operating income of $2.4 million for the fourth quarter of 2006. "Decreased sales traffic combined with declining inventory at the resorts have slowed sales substantially," said Nepute. "Activity has picked up modestly in the first quarter of 2008, and we anticipate selling the remaining 62 lots at Indio, California and Las Vegas in 2008. The resort in Naples, Florida is moving forward toward completion and should have lots available for sale in the second quarter of 2008. Construction on our La Quinta, California motorhome resort has been delayed due to longer than expected timelines for certain regulatory and permitting requirements. We now expect to have lots available for sale by the end of the fourth quarter of 2008." Net sales for the Motorhome Resorts Segment for 2007 were $12.3 million, compared to sales of $32.0 million for 2006. Gross profit for this segment was $7.5 million for 2007, compared to $20.5 million for 2006. For 2007 the segment reported an operating loss of $405 thousand, compared to $8.6 million in operating income for 2006. Marty Daley, Monaco Coach Corporation Vice President and Chief Financial Officer, stated, "We are still comfortable that if the RV market is flat in 2008, which would likely require a rebound in consumer confidence, we would be able to achieve previously stated guidance. The soft retail environment that we are seeing so far in the first quarter could lead to a declining overall market. However, given our internal improvements and anticipated gains in market share, we believe the Company's results would be similar to 2007 if RV markets were down approximately 10%. We are committed to implementing additional cost saving initiatives and modifying production run rates in 2008, as we have done over the past 18 months."